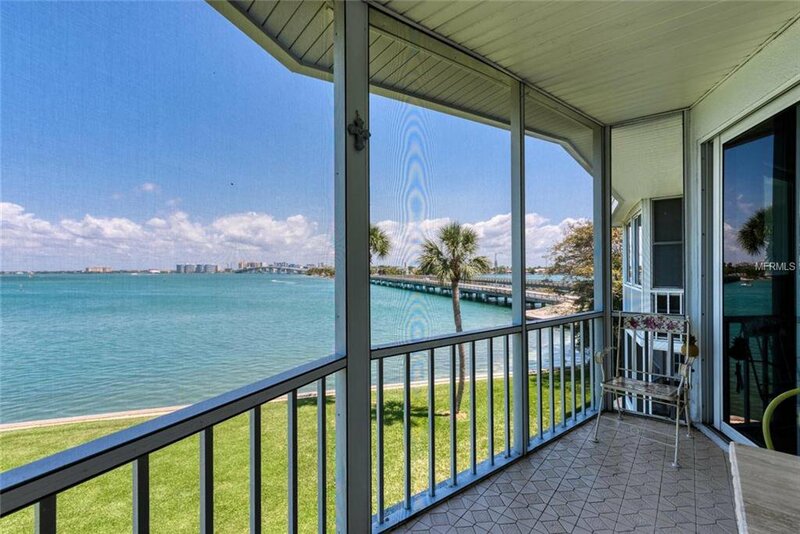 Expansive and impressive wide open Sarasota Bay views from the top floor of Sarasota Harbor East, the Hawthorne Building. 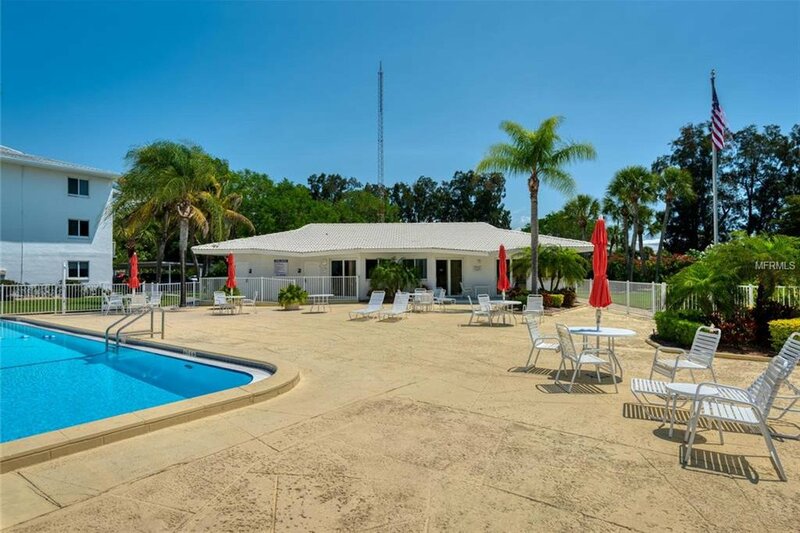 This 55+ community is one of the best locations in this entire region. 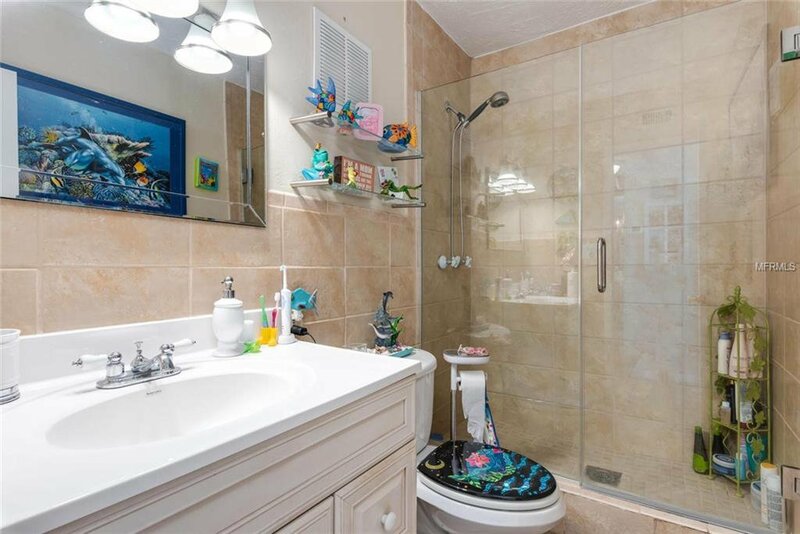 These units were built with reinforced concrete walls and floors. 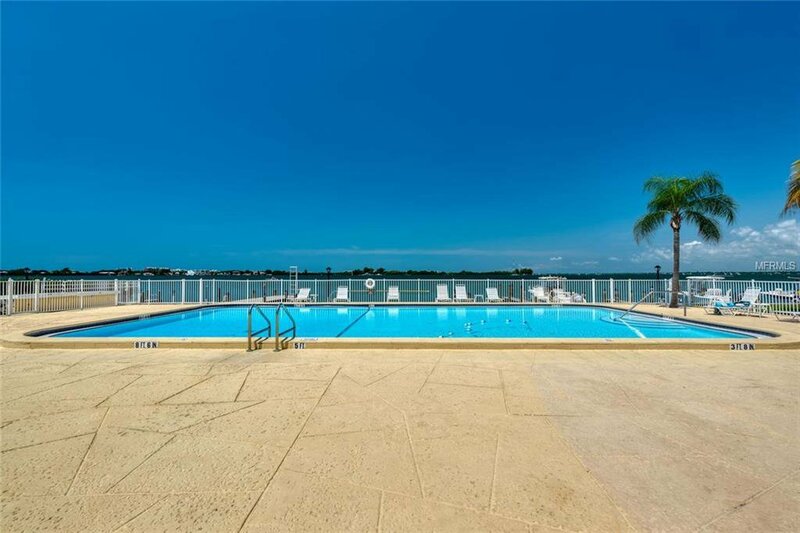 Nice clubhouse, swimming pool, seawall sidewalk, and boat slips. 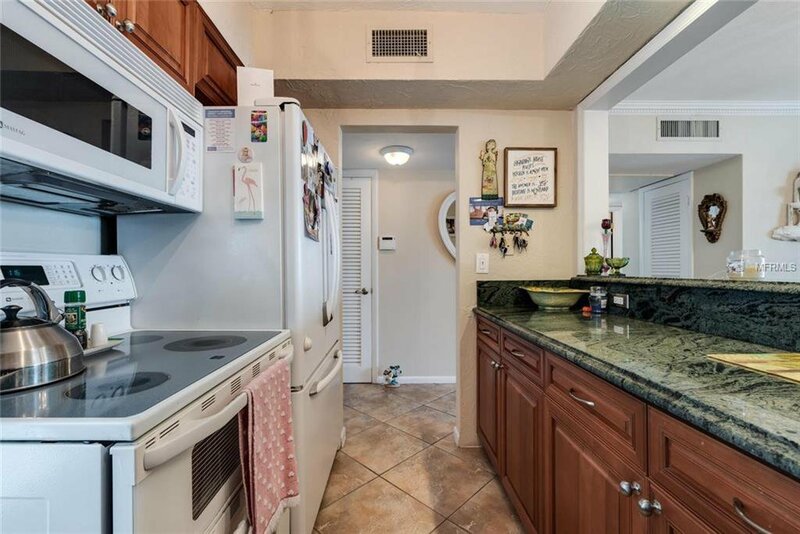 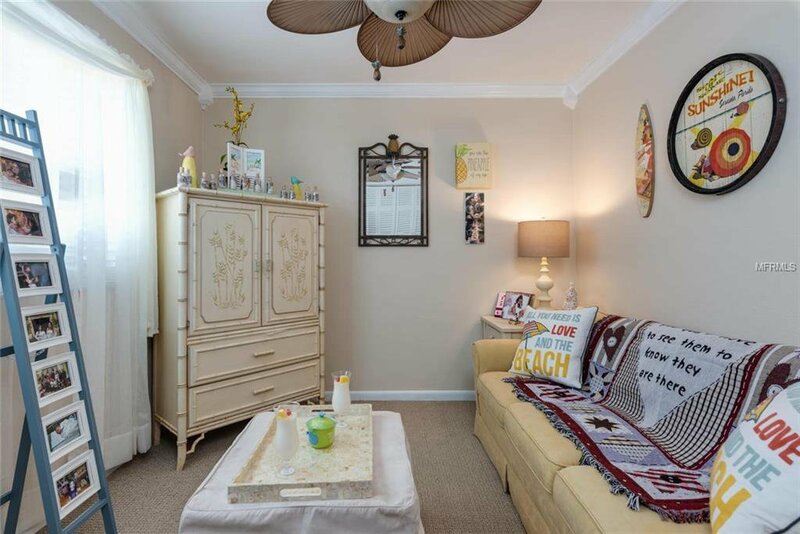 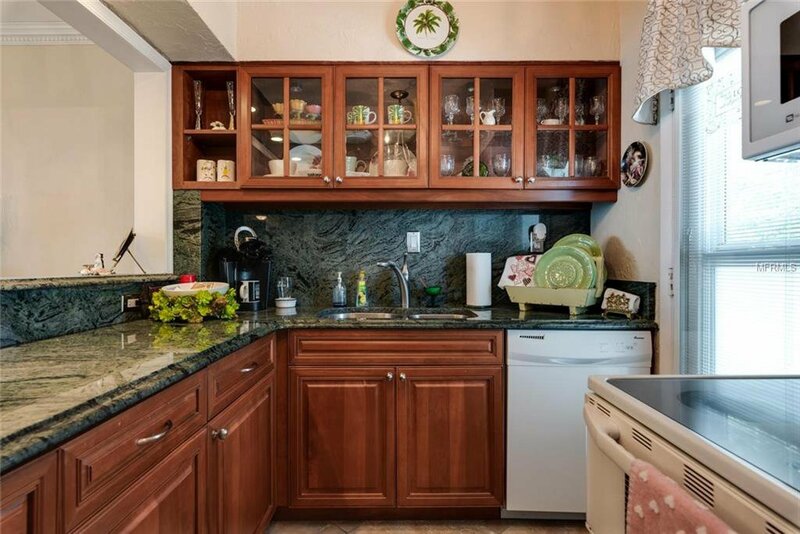 The finishes in this 2/B; 2/bath condo includes granite countertops, solid wood kitchen cabinets, tile floors, and updated bathrooms. 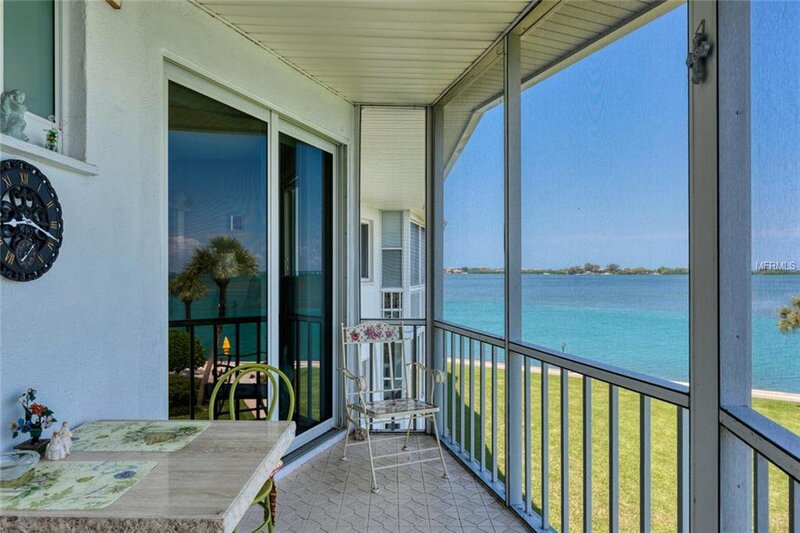 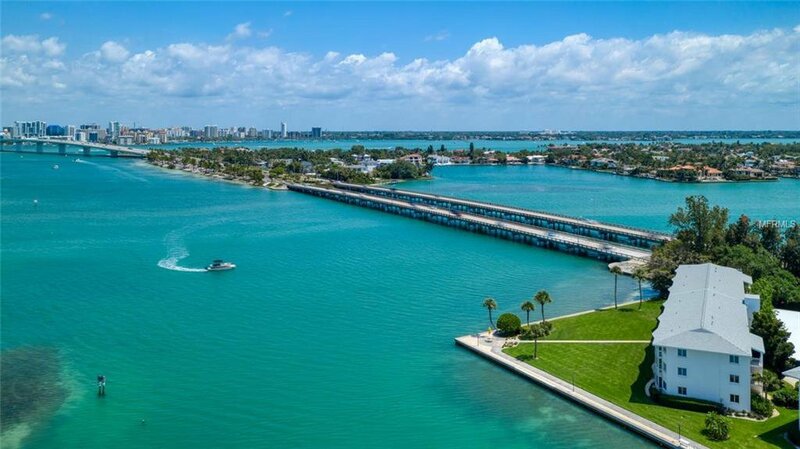 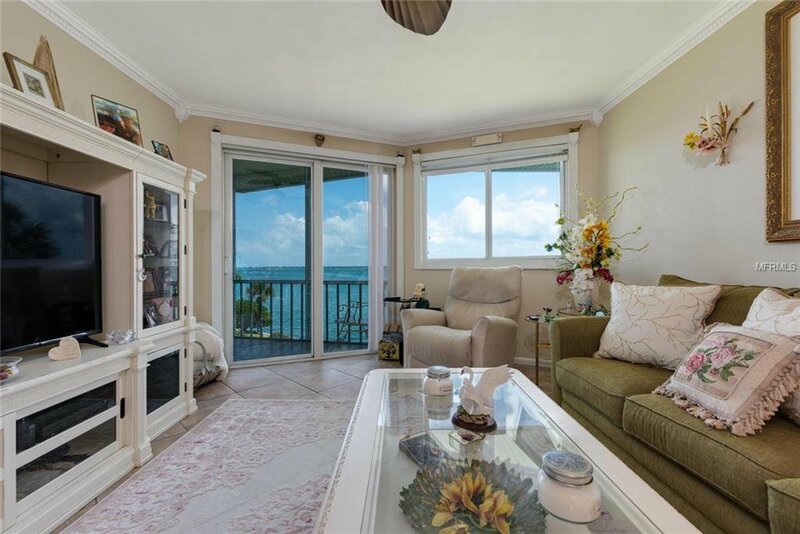 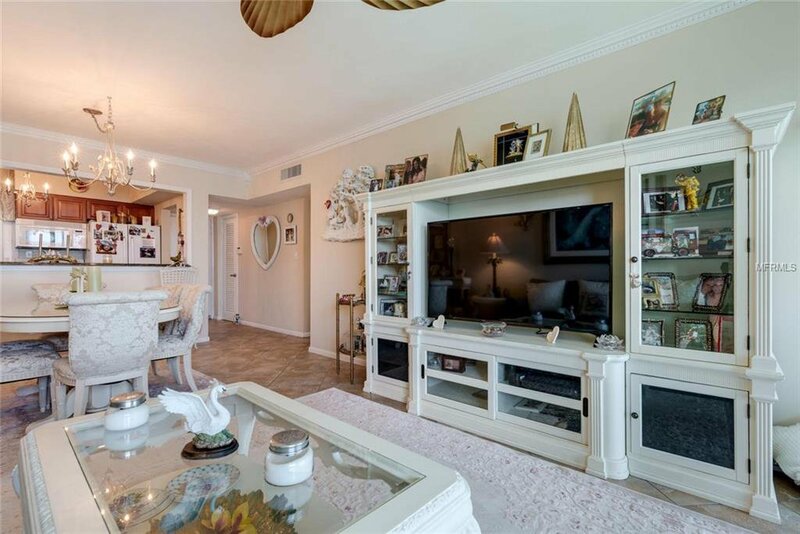 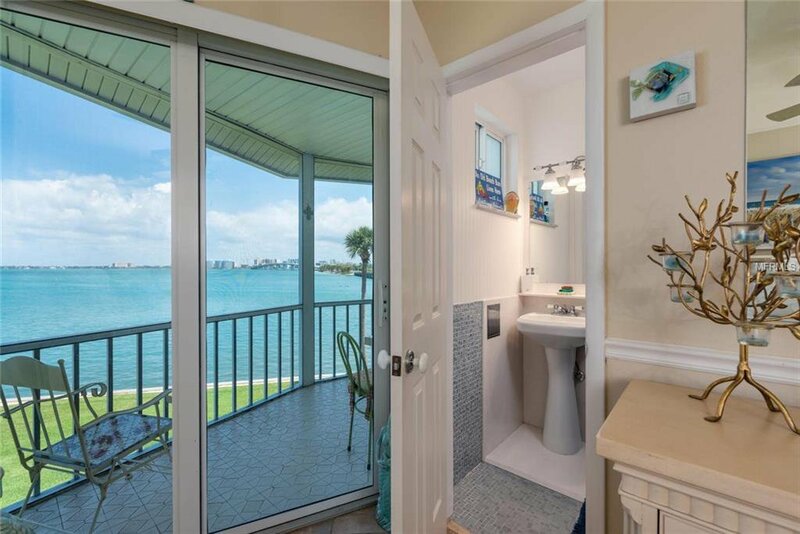 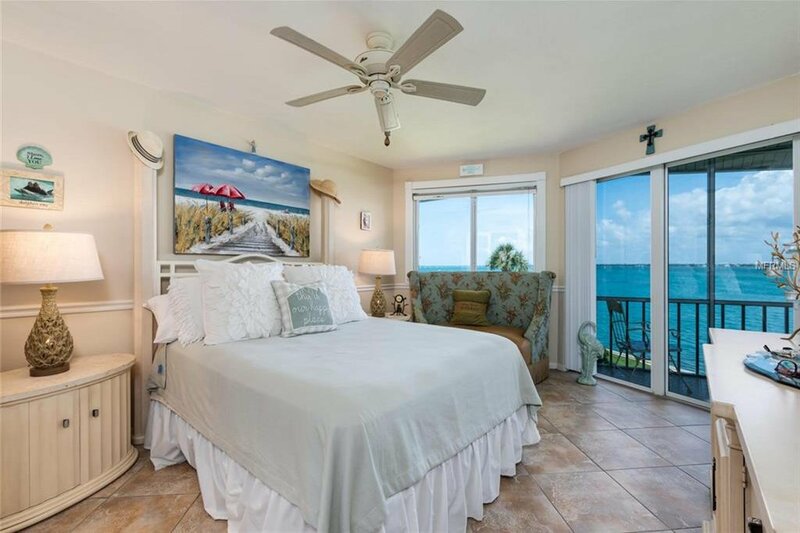 This condo also has a screened lanai that faces the Ringling Bridge and the downtown Sarasota skyline. 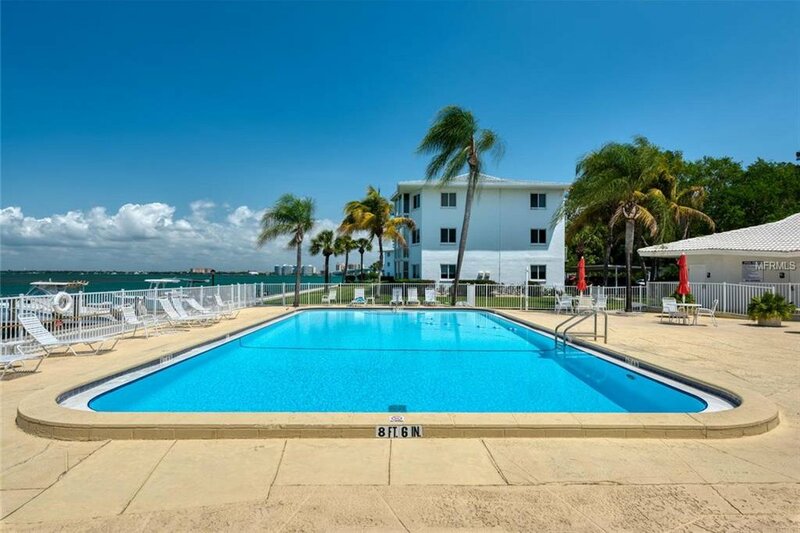 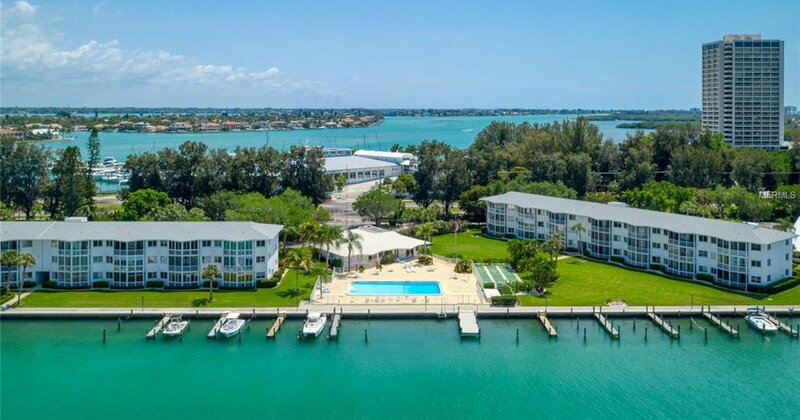 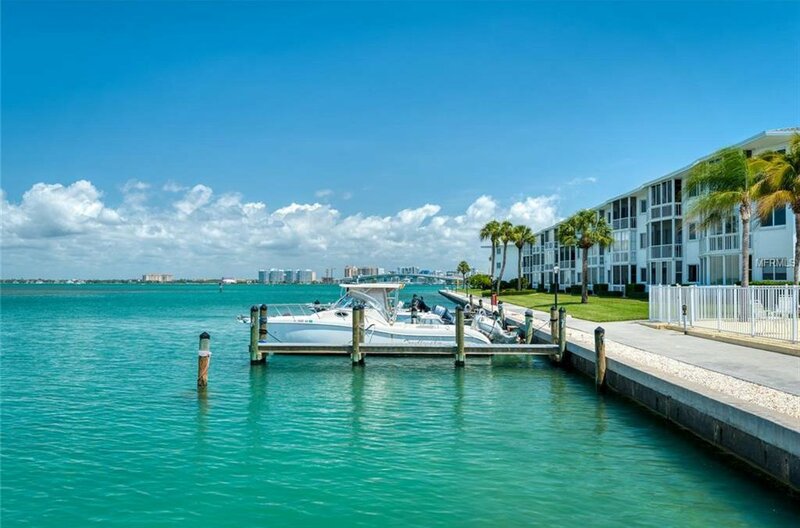 Updated clubhouse, Bayfront community pool, dock, elevators, shuffleboard, kayak storage, and water access. 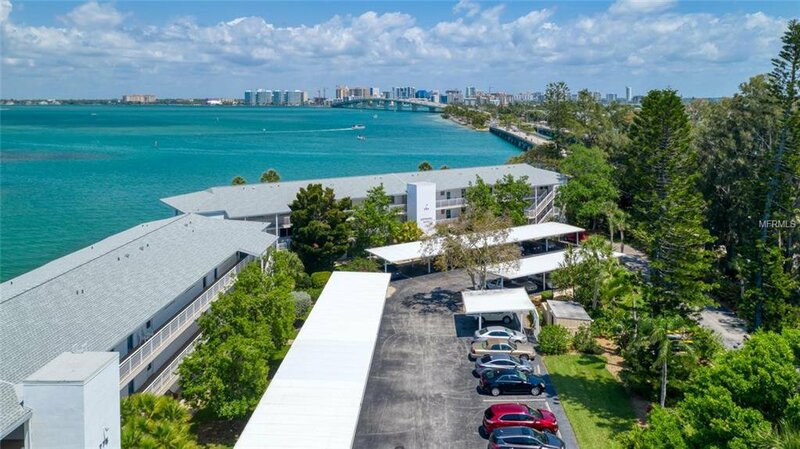 One covered parking space and plenty of guest parking. 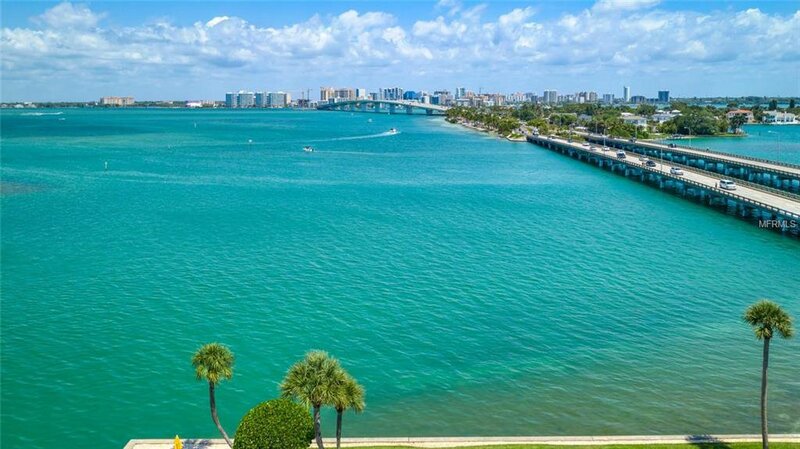 Watch sailboats gliding through the bay and enjoy the glittering lights of downtown Sarasota at night. 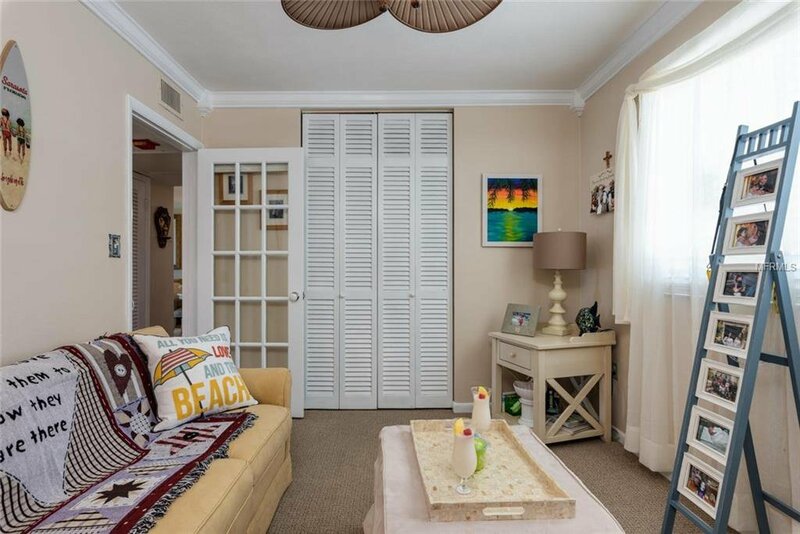 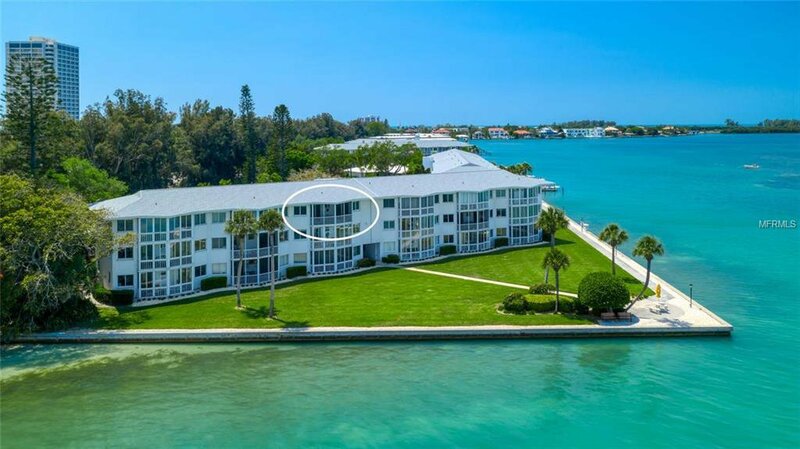 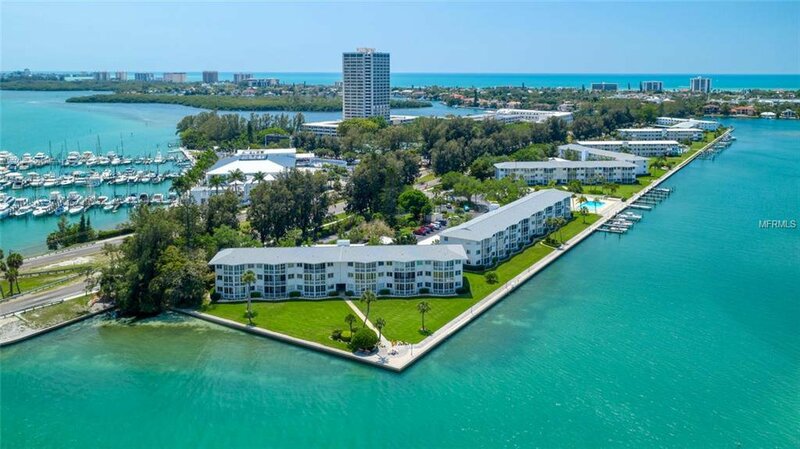 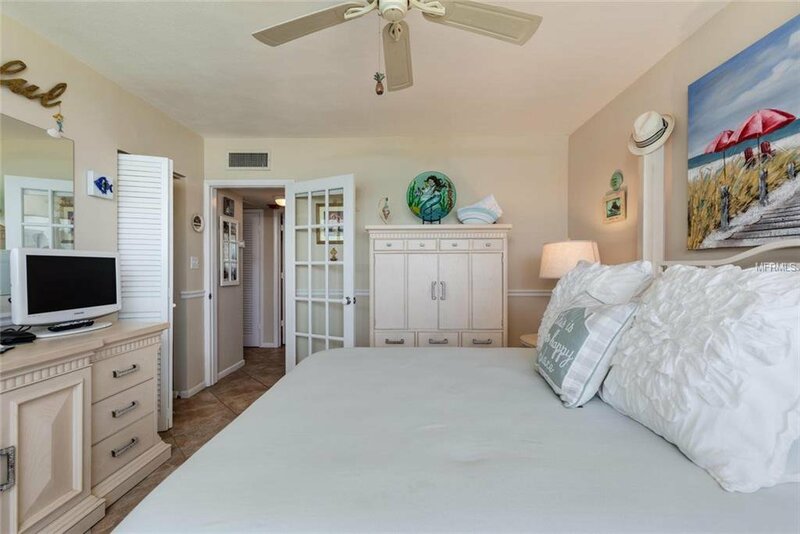 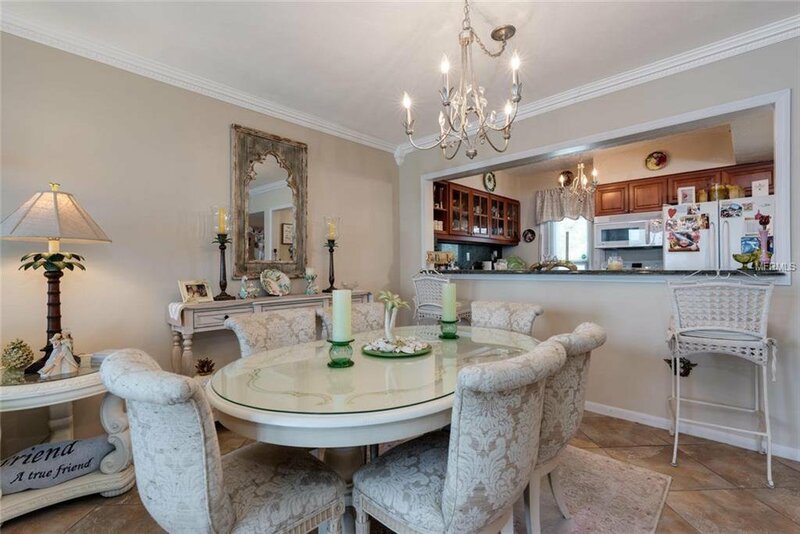 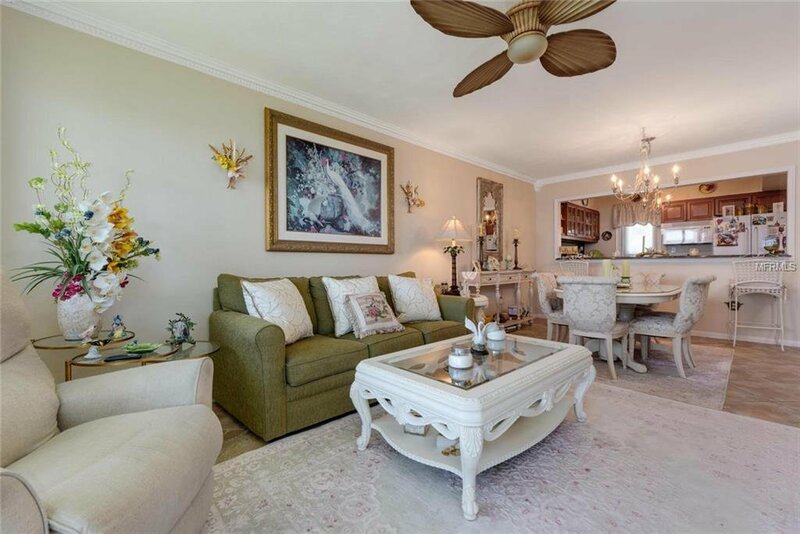 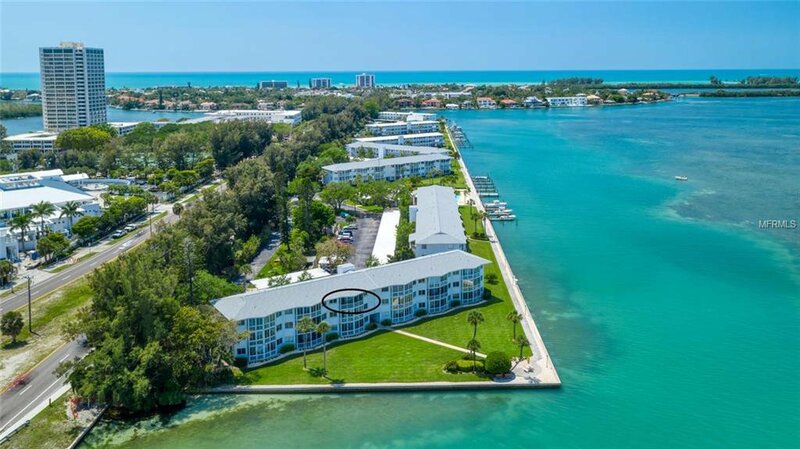 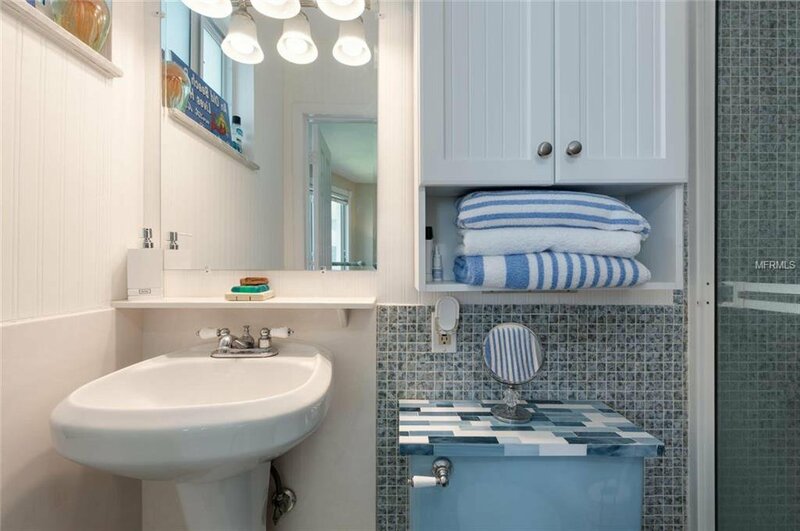 Walk or bike within few minutes to downtown Sarasota, St Armand?s Circle or grab your folding chair and stroll to Lido Beach only 1.5 miles away. 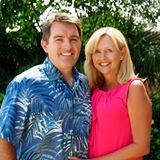 Every 30 min the bus will stop out front in case you want a ride down to Publix on Longboat Key. 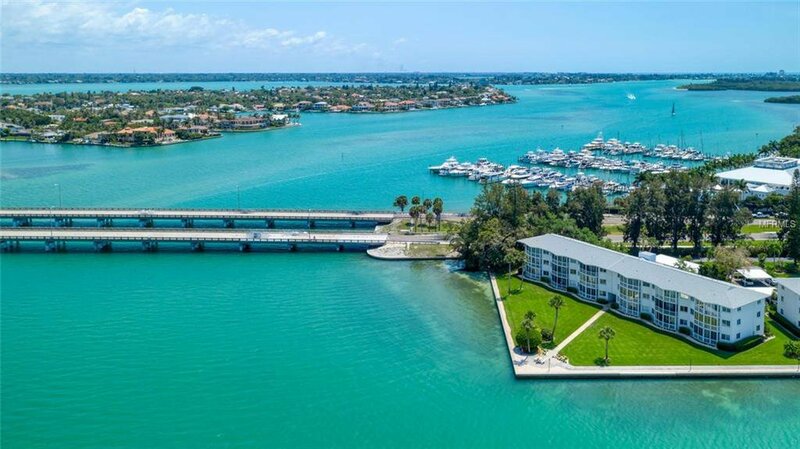 Sorry, pets are not permitted in Sarasota Harbor East.